Farm accounting can be daunting. When I ask farmers what kind of accounting services they use for their farm businesses, most tell me they use a tax accountant once a year. 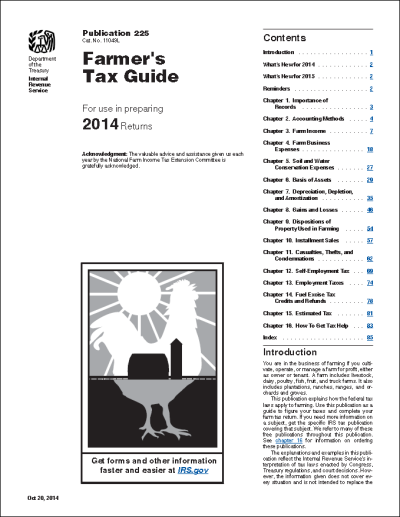 Finding an accountant who is familiar with farm taxes (the Schedule F) is essential. According to the US Internal Revenue Service, most farmers use the cash method (assessing accounts based on what is currently in the bank) for their income taxes because they find it easier to keep records this way, as opposed to the accrual method of accounting (assessing accounts based on what is in the bank after all accounts receivable and payable are calculated). This is because in agriculture expenses from one year may not generate income until the following year when the crop is sold. In other businesses, expenses and income cycle much more frequently, so the accrual method is used to report income earned in a year. Agriculture is also allowed payments for certain practices such as planting native trees and shrubs or keeping livestock out of streams by building stream bank fencing. An accounting firm that works regularly with farmers will be familiar with these incentive programs. Some tax accountants offer auditing services for an additional fee, in which they will represent you in case of an audit. Find an accountant who is in support of you and your business, and who you can establish a relationship with year after year. Talk to other farmers in your area for recommendations on good accounting firms to work with. If you fail to file your taxes, you will be fined and/or charged interest on the amount you owe, and it will be difficult to get access to a loan or do business at all until taxes are paid. The Farm Bureau has a network of accountants throughout Pennsylvania that work with farmers on tax and payroll preparation, bookkeeping assistance, and financial consulting. If you are a Farm Bureau member, you may be eligible for discounted services. Taking care of your taxes is a legal obligation, but analyzing your business finances is not. Tax preparation brings you one step closer to being ready to analyze your finances. Your tax forms can be used to create your income statement. Your receipts and sales records can be used to create your balance sheet and cash flow statements. Penn State Extension offers a course on understanding basic farm finance called Farm $en$e. This 4 session course helps farmers understand basic accounting terms, how to prepare accurate records, and how to use these records to better manage the farm. Be pro-active about your farm finances. If you are not sure that you will have time to learn how to use accounting software or you don’t feel comfortable doing your own financial analysis, you can hire a consultant. This service can range from $30 an hour to $150 an hour, depending on what your needs are and the consultant's level of expertise. The amount of contact you make with the consultant depends on the state of your business, your level of understanding of farm finance, and your commitment to making your business financially sustainable. You could arrange meetings monthly, quarterly, or yearly. As with tax accounting, financial analysis also requires some level of expertise in your industry. This person should understand how your business operates and how it compares to others in the same industry. 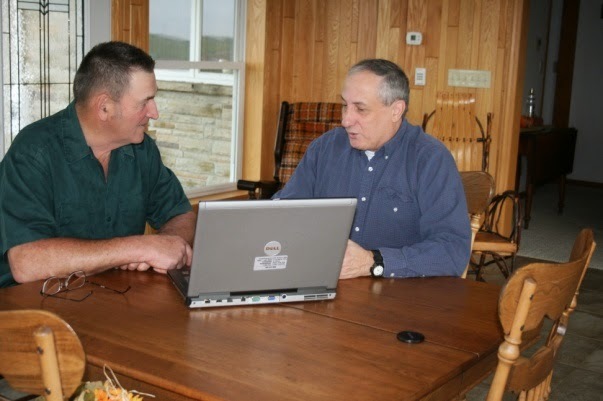 AgChoice Farm Credit is one source of accounting services with agricultural expertise. In conclusion, the best place to find a tax accountant or a financial consultant for your farm business is by talking with other farmers in your area or in your ag industry. Be pro-active about your farm finances. If you don’t want to, or are not able to understand your farm’s financial situation, hire someone to help you look at the big picture. Accounting services are different at every practice, so be sure you understand the range of services offered before signing a contract. Shop around for pricing that you can afford, as well as an accountant that you feel comfortable working with.